Before me, the winter looms here in Sydney. We had a brief taste of winter the other week. A touch of sleet and rain one morning at 6:45am followed by three days of continuous rain and hail on the weekend heralded the change in seasons. My wardrobe now contains the Autumn/Winter collection. We went to IKEA and bought five sets of Billy shelves to organise our growing collection of shoes, jackets and bicycle helmets. It was a veritable IKEA hack. Ah, order. But how long will it last? My husband Justin and I also moved the furniture around. Our living space now makes more sense with specific areas for work, dining and play/reading/music/TV. I know that for many, IKEA overwhelms. Fortunately for me, IKEA inspires. Justin also installed wall mounts for our bicycles. One more trip to IKEA and we’ll be ready for the winter. 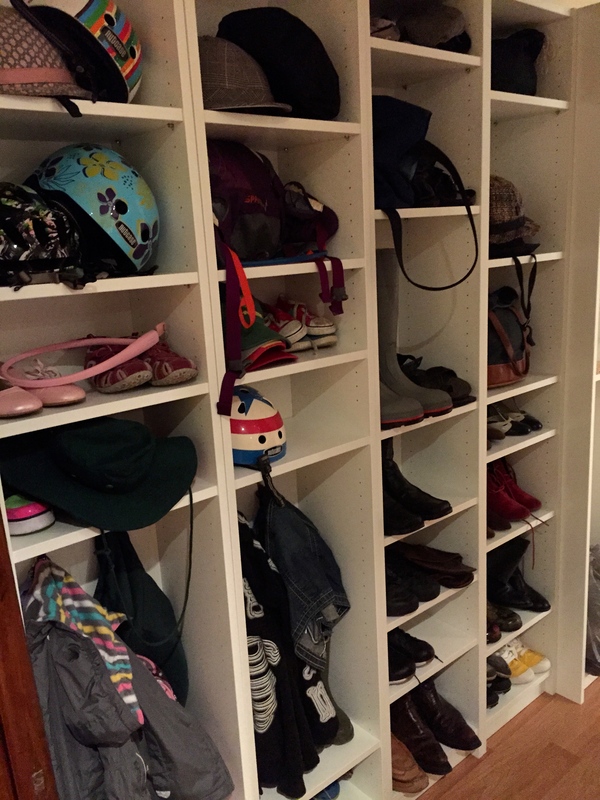 We tend to stay home a bit more and with two kids, I wanted to use every centimetre of our living space. Winter temperatures came early this year. My bicycles are next. I will take my nine-year-old Giant Cypress, a hybrid bicycle, to Omafiets in Redfern tomorrow for a service. It’s still great to ride as it has mudguards, Ergon pedals, and an upright posture. I haven’t ridden it all summer but I’m itchy to ride it again, especially as it has stopped raining. I like red matte lipstick in the winter. The softer light in the Australian winter makes it less harsh. You might be asking, “Why not continue riding the e-bike?” There are a few reasons for wanting to change. The first is that I like riding the bicycle in winter. In the summer, it’s too hot to ride it without having to shower and change clothes. 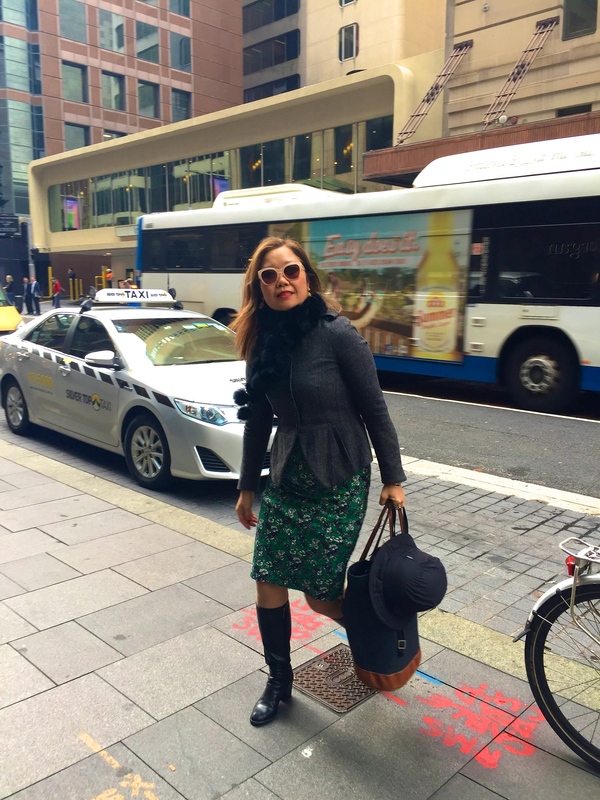 In Sydney, winter is just cold enough. On the bicycle, I tend to warm up quickly. 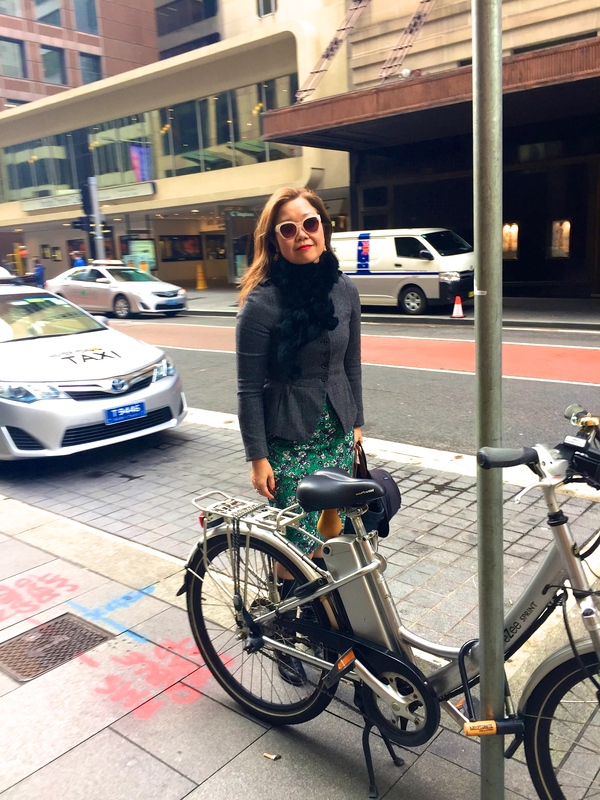 And riding the hybrid bicycle feels more “pure.” I’m using my own power which is satisfying. While I don’t have a motor to help me up the hills, the bicycle is much lighter and therefore easier to ride. As a result, I also gain in fitness. Last winter, I gained two kilos which I couldn’t shake until spring. But then I realised that I had gained muscle as a result of riding the hybrid. As a result, the Spring/Summer collection fit me much better. In case of rain, I wore my Yakkay with rain cover. Of course, it didn’t as a result. However, I have been toying with the idea of retiring the hybrid bicycle and buying a commuter bicycle. But I am attached because this was the bicycle that started it all. My daughter Ofelia and I used to go for long rides when she was about a year old. She would always fall asleep in her Topeak seat. But the “ka-chunk” of the gears, which is a combination of me pedalling hard while shifting, would be remedied. The rusted handlebars would be gone. The side pull caliper brakes exchanged for something better. Sigh. You might see me testing some new ones in the coming weeks. I’ll let you know. Do you have any suggestions? 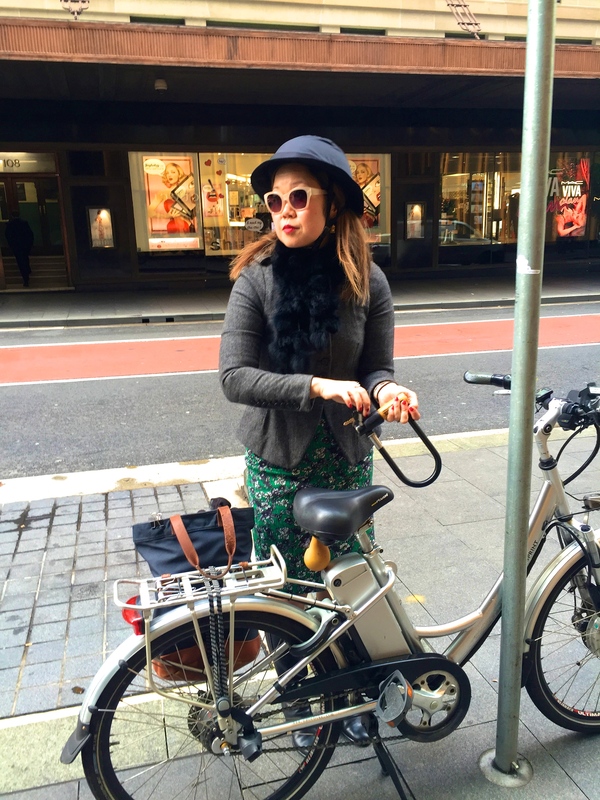 I like the more upright style but I prefer a hybrid/commuter style to a ladies vintage bicycle. Today’s ensemble: Zara wool jacket and dress, Witchery sunglasses, Yakkay helmet with rain cover, Linus Eleanor bag, Cartier Santos, BBB gloves, ancient faux fur scarf. On the walls: Outline Works Bull bicycle holders, Merida Lite, Salsa, Focus CX, Cannondale Scalpel, Billy IKEA bookshelves.